Jason Reitman is the real thing. Though comparisons to the family patriarch may never go away, he has managed to effortlessly establish himself as his own entity. At 32 years old, he is one of the best filmmakers working today. More impressive than his age, he’s done it in just three films, all comedies. His latest, “Up in the Air,” is also his best. Some might argue that 2007’s “Juno” catapulted him to elite status (it earned him an Oscar nomination), but with “Up in the Air” he is showing a maturity of form that perfectly blends the disparate styles of his previous films and enhancing them in the process. From the cinematography to the editing to the music, Reitman creates an exciting adult comedy that is thoroughly entertaining, intelligent, and moving. 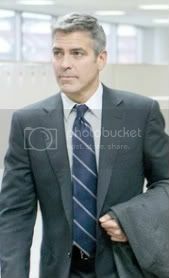 “Up in the Air” stars George Clooney as Ryan Bingham, a termination expert who never feels at home at home. He sees home where others see transition. He flies from metropolis to metropolis — and sometimes Wichita, too — informing employees that their positions are no longer available and that the sooner they accept this fact the sooner they can start moving toward the next exciting chapter of their lives. Yes, but what happens when Bingham’s own company makes some changes? We meet Natalie (Anna Kendrick), an early 20s college grad who convinces the company that the function they serve can be done just as easily and more efficiently via web-cam. And so Bingham is forced to take her on the road with him. Their road-trip-in-the-sky plot line is the driving force of the movie, as they travel from city to city. There is also Alex (Vera Farmiga), who meets Clooney’s Bingham when the pair use Airline Club mileage cards as foreplay. Their immediate connection leads to the best use of a neck-tie in cinema history. And so we have a triangle, in Clooney, Kendrick, and Farmiga. Not a love triangle, though; more of a lifestyle triangle. All three actors are outstanding. The two women have very different perspectives on life, but look at the confidence the actresses exude. Farmiga has a way of tilting her head and sortof half-smiling as she recognizes herself sitting across from her. Instead of giving us an empty rivalry or faux-disdain, the movie shows us two intelligent, beautiful women at different places in their lives. George Clooney is brilliant at playing skilled men whose work informs their personal behavior. Think of him in movies like “Out of Sight,” “Syriana,” and “Michael Clayton” (or even his “Fantastic Mr. Fox” from earlier this year). Ryan Bingham is another variation on that theme, and even though Clooney is a movie star, he’s not doing a retread. He finds layers of complexity in the spaces between his confidence, cynicism, and weariness. Whatever his employer’s motives, Bingham finds value in his job and the uniquely intimate position he’s in. When people get upset, he doesn’t deflect, he redirects, and he creates the difference between those two words. Reitman incorporates real-life interviews with layed-off men and women. Its brilliance isn’t just in its concept, either. Though each of the dozens of interviewees only speaks for about 10 seconds each, the film actually seems to be about them. It doesn’t use them as a ploy, but observes them with compassion for their situation and frustration. He incorporates some great character actors into their mix, including J.K. Simmons and Zach Galifianakis, while Jason Bateman rounds out the ensemble as Clooney’s boss. The film was adapted from a novel but is wildly different. That’s one of Reitman’s best qualities. Though he’s said he isn’t interested in writing wholly original works, he uses the source material to inspire untapped layers for his films, to which he adds his own sensibility. It is a dichotomy befitting one of his own films that “Up in the Air” is simultaneously his most mature movie and his funniest. Follow Jason Eaken on Twitter at http://twitter.com/EAKEN. This was a fantastic film!